I’ve been working away on the sweater for my husband, and I’m starting to make progress. The yarn I’m using is a really lovely cotton yarn, and I’m totally in love with the finished fabric. It’s crazy soft and luxurious-feeling (especially the swatch that I put through the washing machine)! I know my husband is going to love it. But you know what I don’t love? Actually knitting with the stuff. There’s something about cotton that is kind of hard on my hands. I don’t know if it’s the fact that it has almost no spring, or if it is stickier on my needles than wool, but it’s a little bit of a pain to knit. Instead of sitting down in the evening and working through several X-files episodes, like I usually do, I’ve been slogging my way through a couple rows per night, which is making this sweater rather slow going. Are there any fibers you don’t like working with? Or am I just being crazy? 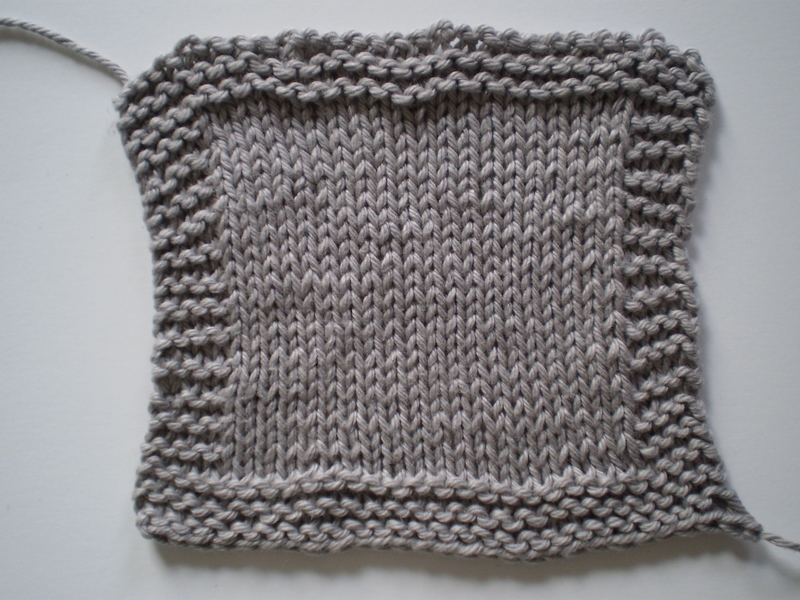 This entry was posted in On My Needles and tagged cardigan, cotton, cotton yarn, emilien, husband, in progress, knit, knitting, sweater on February 2, 2015 by onemilljellybeans. 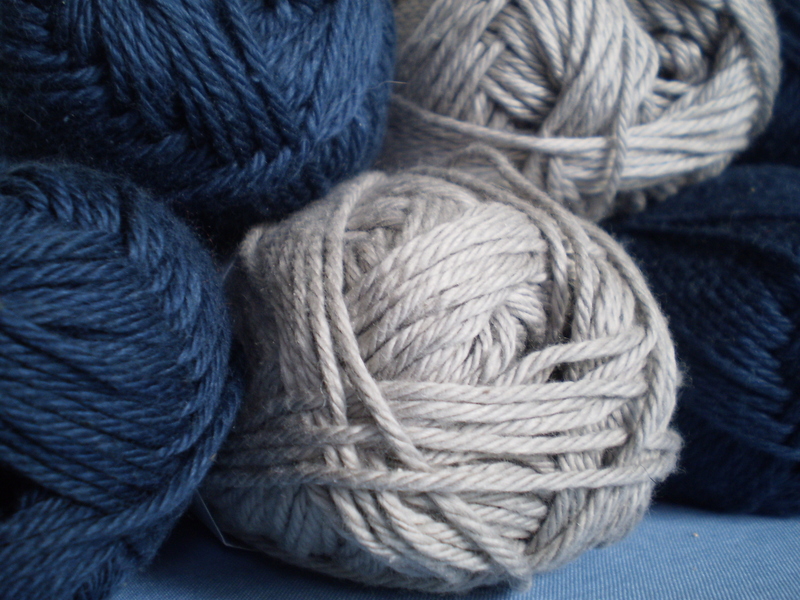 Knit Picks Comfy Sport in Planetarium and Whisker (AKA, navy blue and gray). The yarn is a cotton/acrylic blend, which I usually wouldn’t use for a sweater. But, my husband runs super warm, so anything with even a touch of wool doesn’t get worn, except on vacation to the Great White North. So we’ll see how it works as a sweater. Have any of you knit a sweater out of cotton? I got gauge with size 5 needles, not size 7, like the pattern suggests. Which is weird. I’m usually a pretty average knitter, but I guess I won’t argue with the swatch gods. Maybe it has to do with the fiber content? 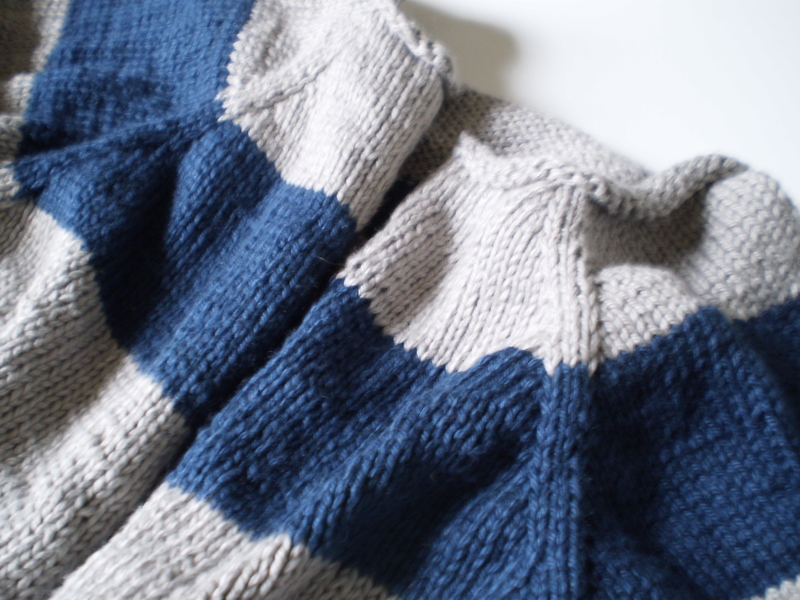 Cottons don’t really stretch, but wool (like the pattern asks for) is quite stretchy. We’ll just have to see. 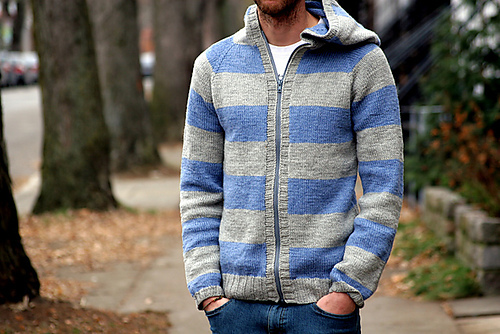 This entry was posted in On My Needles and tagged acrylic, blue, cardigan, cotton, cotton acrylic blend, cotton blend, cotton yarn, emilien, gray, husband, husband sweater, sport, sport weight yarn, swatch, sweater on January 16, 2015 by onemilljellybeans.